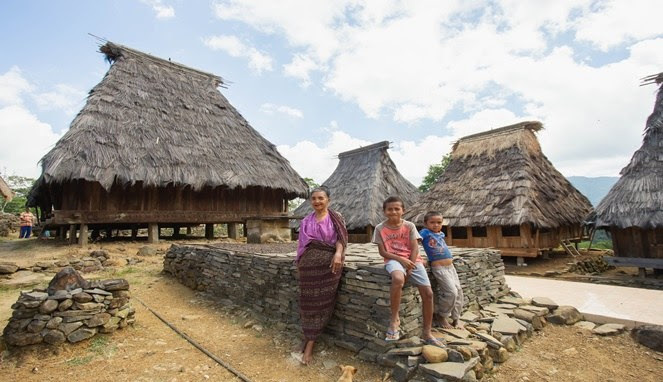 The Wologai traditional village is located in Detusoko District, Ende, Flores, East Nusa Tenggara. Indeed, not many tourists know of its existence. In fact, it is similar to Kampung Bena and Wae Rebo Village. Wologai Village keeps a tradition that is no less interesting. This village is more than 800 years old and is located at an altitude of around 3000 feet. It is one of the few remaining traditional villages that still exists in Flores. Similar to other traditional houses in Flores, Wologai also has unique buildings. The shape of the house like a cone. The layout of the building is circular. Rows of stilt houses in this village were built around the Kanga Tubu, the tallest courtyard used as a place for traditional rituals. The flat stone in the middle is used as an altar to place offerings for ancestors and creators. Wologai is 36km from Ende and from Maumere to Wologai is 112km. Wologai is also reachable by public transport.